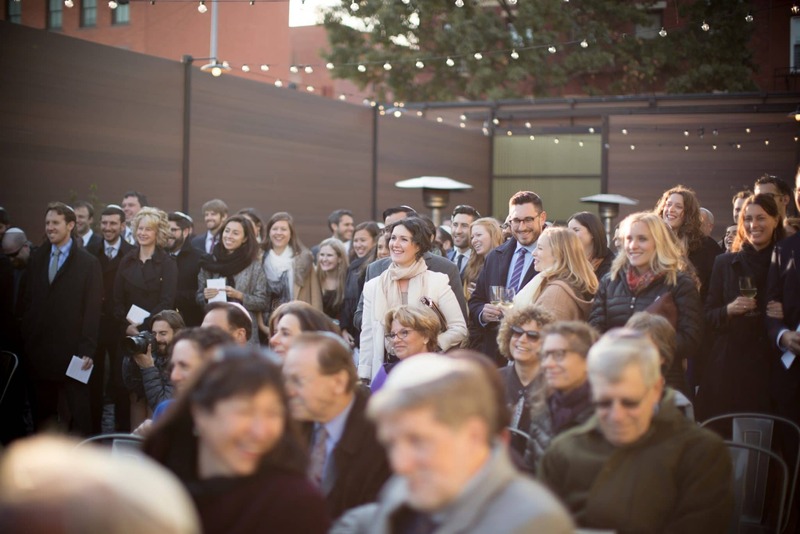 A guide to creating the beautiful, inclusive, (relatively) drama-free Jewish (or Jew-ish) wedding you want, beginning with communication, communication, communication. Your wedding should be about you and your partner. Your love, your values, your style. In the real world – especially one in which mash-up weddings are the new normal – it turns out the expectations of your friends and family matter and compromise reigns supreme. No matter what your background is, this guide will help you and your partner prioritize the religious and cultural traditions that matter to you and prep you for those tricky family convos. These tips also set you up to understand, honor, and incorporate traditional Jewish customs into your wedding in a relevant and inclusive way. First, a quick lesson on successful relationships: You are responsible for your own happiness. The respect that you and your partner have for each other will allow you both to adapt, flourish, and grow. Be willing to fight and get good at forgiving. For your wedding and for the rest of your marriage, start with yourself. Do you know what your values are? Discover them, name them, and share them with your partner. These are the guideposts for the toughest decisions you’ll have to make, wedding priorities included. One key topic to consider as you name your values is religion, especially as it relates to your wedding. How do you see religion and spirituality factoring into your life and your marriage, if at all? Check out these tips for understanding your values and try this values clarification exercise. Have you and your partner discussed how you want to live your lives together? How you’ll spend money, what your career ambitions are, whether or not you want kids? If not, freeze! Before you get married, take some time to consider the values, customs, rituals, and religious ceremonies that have meaning for each of you. It’s never too early – here are 5 things to discuss before you get engaged (or early on in your wedding planning process). What parts of your faith are most important to you? What parts of your faith are most important to your family? What ceremonial aspects of your faith would you like at the wedding? What ceremonial aspects of your faith would your family like at the wedding? Are there any wedding traditions of my faith that make you uncomfortable? Are there any wedding traditions of my faith that make your family uncomfortable? How flexible are your wedding traditions? It’s surprisingly easy to float through the steamy, early days of new love without ever addressing these huge topics, and, even as you settle into a more deeply committed relationship, it’s not too hard to respect or ignore cultural or religious differences. The last thing anyone wants is to be caught by surprise while wedding planning. Step zero: think about it, talk about it, know where you stand. Your wedding should be about royally celebrating your marriage, not a trigger for Woody Allen levels of angst. ✨ BONUS TIP ✨ Marriage is the creation of a new world: the one you and your partner will inhabit together. Even if you were both raised with the same religion, you may have practiced it differently. You can access each other’s faiths and/or customs without losing your own traditions, but it won’t happen by accident. Make it a point to learn about each other’s traditions, equally. Spend solo time going to museums, ask your partner’s family about their past, cook together. Bring your partner into your traditions. Make a trip to your hometown or the country where your grandparents live. Explain customs and traditions as they occur – nothing is obvious. Once you and your partner have done a complete life values and wedding priorities mind meld and are ready to present a united front, you can share your plans with your families. Find out what your families need to see happen, the words they need to hear, to feel like you’ve all just attended a successful wedding. What are their expectations? Dig below the surface – ask why at least three times. You may even need to set up a few conversations. Before you dive in, clear any assumptions you might have that older people are incapable of change or that they won’t talk about or understand cultural issues. If it turns out your assumptions are totally right and they are stuck in the mud, then at least be tolerant. In advance, think about how you’ll respond. With an open mind? With understanding? Will you be serious or will you crack a joke to cut through the schmaltz-thick tension? You know your families best, so prepare to shore up the attitude or emotions that you’ll need to have this conversation, including preparing for hearing potentially hurtful things. Tell your families what is important to you and why. Tell them what doesn’t matter as much. Make it clear that you’re not trying to hurt them or undermine the things they hold dear. 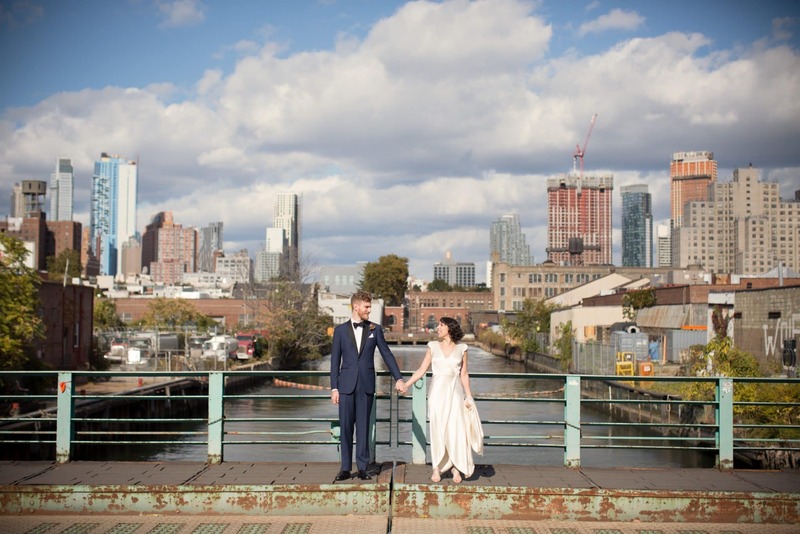 You might also like Part II of our wedding guide! 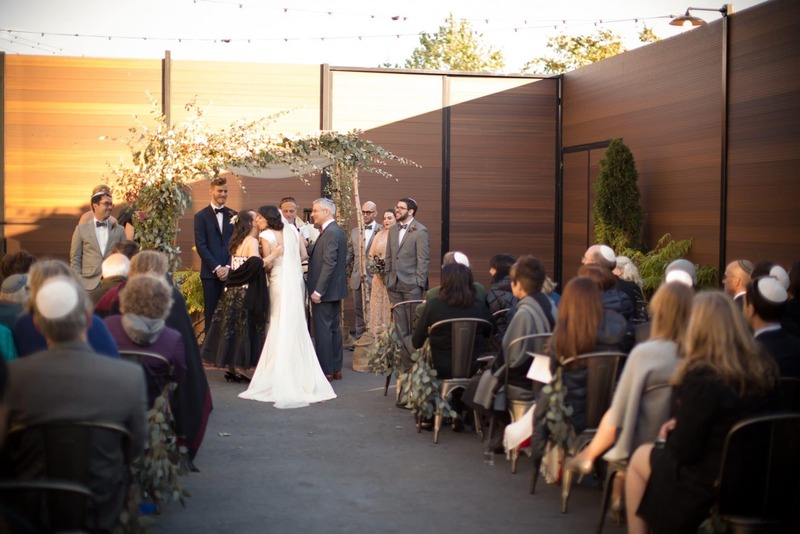 We break down each Jewish wedding tradition in a relatable way and provide suggestions for current and inclusive ways to incorporate these customs into your wedding. Photos by Chris Gifford of Weddings by Two.